Medium. 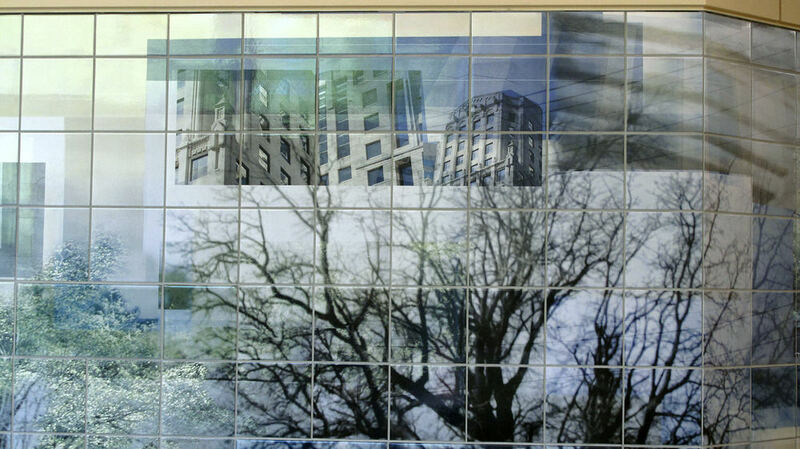 Digital glaze image fused to ceramic tiles and handmade glass panels. Commissioning Agent. Mecklenburg County 4th District Courts Building. This work resides in a location where hard times might have fallen on those coming to the building.The concept of this work was to provide a respite, a place of pause and reflection for the viewer.